With a city centre population of eight million and another five million in the metro area, London is by far the biggest city in Western Europe and a world leader in culture, commerce, finance and politics. In recent years the London skyline has been dominated by cranes, with billion-pound developments going up from Paddington in the west, through the City and out to the Olympic Park and Canary Wharf in the east, and from Battersea in the south, to Kings Cross and Euston further north. If the scale of recent development is anything to go by, a lot of people have faith in the London property market. 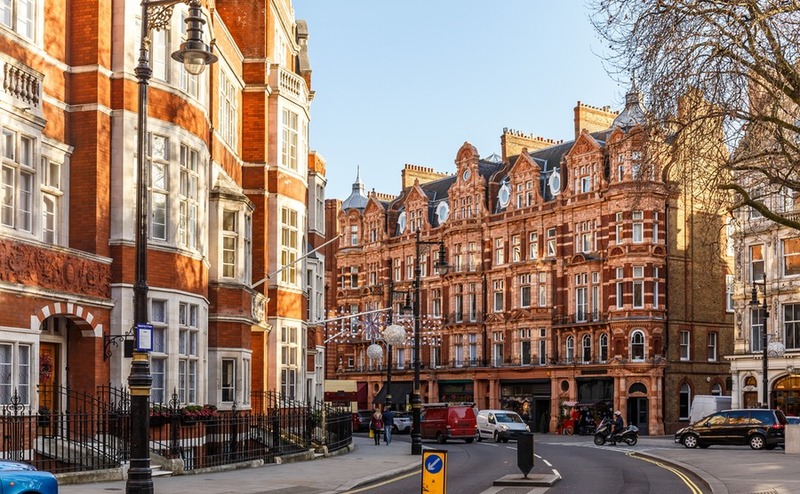 Mayfair is one of the best areas in the UK to buy property for a luxurious lifestyle. If you own property here already, you are probably sitting on a goldmine. If you wish to buy, you will need to spend a lot of money: the average home value in London at the start of 2017, according to Rightmove data, was £680,110, a 7% rise over the previous three years. The average flat sold for over £546,849, the average semi-detached property for £659,203 and the average terraced property for £680,110. You can keep up to date with house prices in London and all of the UK by visiting the Rightmove House Price Index. Recent years have seen a property bonanza in London, as a safe investment destination from overseas. That has led to £100 billion being invested in London property between 2008 and 2013 alone. To soak up all that cash there has been a huge building programme, with more than 200 residential towers blocks of over 20 storeys being built or in the official planning process, including the two tallest residential towers in Western Europe. Some areas are pricier than others. The average central London price was over £1.7 million in early 2019 and in ’Prime London’ the average is even higher. Prime London is generally agreed to be the postal codes that touch on Hyde Park, including such areas as Mayfair, Kensington and Notting Hill. As London has been such a hotspot for property investment, so the pricey parts of London have expanded. The multibillion pound transport investment Crossrail has made hotspots of previously inexpensive areas in the East End. Crossrail 2, going north-east to south-west and already in the pipeline, is likely to have a similar effect on the areas it passes through. Large-scale upmarket developments in areas like Battersea Power Station and Nine Elms are also changing the profile of London’s hotspots. This highly dynamic London market makes looking out for the new hotspots a popular local version of Monopoly. Where will be next to go upmarket: Croydon, Earl’s Court, West Drayton? The Rightmove website gives detailed data on recent sold prices in individual London streets. If buying in Central and even Greater London is too expensive, consider the counties around London. Known as the “Home Counties”, they comprise Kent, Sussex, Surrey, Berkshire, Buckinghamshire, Hertfordshire and Essex. All these areas are within striking distance of London for commuters and have seen large price rises in recent years. The growth of home working has made the occasional long commute more palatable for many Londoners looking for cheaper accommodation. Any of the market towns with a good train connection to London have seen strong demand, usually not matched by new development, leading to property price rises. You may hear comment about the DFLs, “down from London”, pushing up local prices. This is prime buy-to-let investment territory. The more attractive towns around London, such as those along the North Kent Coast, or within the South Downs National Park, have potential for vacation rentals. You may also hear the term “green belt” used by estate agents. Major cities – indeed all towns – in the UK are surrounded by an area of countryside kept clear of development in order to prevent cities becoming ever larger and creating “urban sprawl”. Housing demand is putting ever more pressure on the green belt, but it remains largely free of new development for now and a popular place to live. Branding England’s northern cities as the Northern Powerhouse is an attempt to stimulate the economies of Manchester, Liverpool, Sheffield, Leeds and others. Its impetus was the evidence that the south of England, and London in particular, is getting more than its fair share of investment and jobs, leading, among other things, to overcrowded transport and services and unaffordable home prices. Many of these cities have already seen great infrastructure improvements and a burst of creative energy. Particular hotspots in recent years include Media City in Salford Quays, Manchester (where large parts of the BBC (British Broadcasting Corporation) relocated several years ago) and the billion-pound Liverpool One development. If you haven’t been to the North of the UK , it is worth considering a trip. Buy-to-let returns were considered to be higher than in London in recent years and by 2016, many of the city properties were only just reaching their pre-financial crisis level, without the affordability issues of the South. 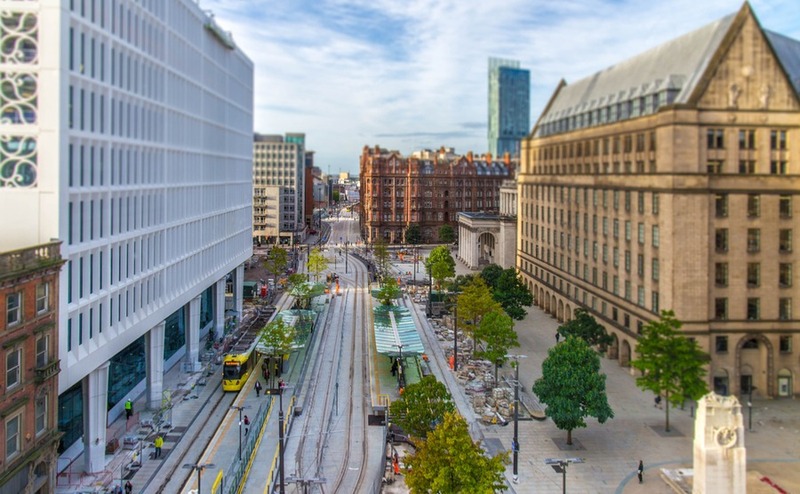 The ‘northern powerhouse’ has undergone a lot of regeneration over the last few years, making it one of the best places in the UK to buy property. The government aimed to attract investment for housing, transport and infrastructure, encouraging business to the region and building up the North’s manufacturing, science and technology and services sector. The most high-profile element is the planned multi-billion high-speed rail connection to London and Heathrow Airport, known as HS2 and HS3. There will also be “housing investment funds”, administered by new mayors in the great cities, to encourage the high-quality and affordable housing to keep the best people in the North, rather than all coming down to London or emigrating. The UK’s second-tier cities are increasingly coming under the spotlight for property investors as some of the best areas in the UK to buy property. Not only have many firms been priced out of London, where office rents are the third highest globally, behind New York and Hong Kong, but their staff may not want to pay London’s residential prices either. As an investor looking at the UK from abroad, you may wonder how you can define whether a city is wealthy or poor, up and coming or gone to the dogs. One way of determining this objectively and from abroad is by looking at the Gross Value Added (GVA). This is a measure of the value of the goods and services produced in an area, a kind of localised Gross Domestic Product (GDP). The Office for National Statistics releases the data in great detail each year, allowing you to see how a city is performing economically both compared to other cities and over time. The per capita figure shows London at the top, followed by Edinburgh, Belfast and Glasgow. Following those cities in the top ten, however, are Bristol, Nottingham, Derby, Leeds and Peterborough. A city like Bristol may well appeal to investors. Its booming economy has made it the capital of south-west England and, along with the city of Bath nearby, nicknamed London-upon-Avon. Its industries, based on aeronautics, robotics and the highest hi-tech, seem to offer a bright future. Yet an average two-bedroom property is generally more affordable. GVA isn’t the only measure. On the other side of London, the area around Cambridge, known as the Fens, is being dubbed “Silicon Fen” for its high-tech industries that are close to the university. Good transport links to London are certainly a factor in the strength of an area’s property market. The most beautiful parts of Britain are designated either National Parks, which are the highest classification, or Areas of Outstanding Natural Beauty (AONB). You can find them via the National Parks Agency or Landscapes for Life. You normally pay more for property in these areas compared to rural property in less attractive places, but they are not necessarily expensive in themselves. These are some of the best areas in the UK to buy property for investment. That’s because homes here should stand up well – the strong legal protections prevent over-development (they may also limit what you can do with the property) and holiday rentals are a potential source of income. Out of season, it can be difficult to find high-paying long-term rentals, rural incomes tending to be lower than in urban areas, so a large and busy city within commuting distance makes a more secure investment. That may include the Peak District National Park, close to both Sheffield and Manchester, the South Downs National Park, close to Brighton and Portsmouth, or the Cotswolds AONB, close to Cheltenham and Oxford. 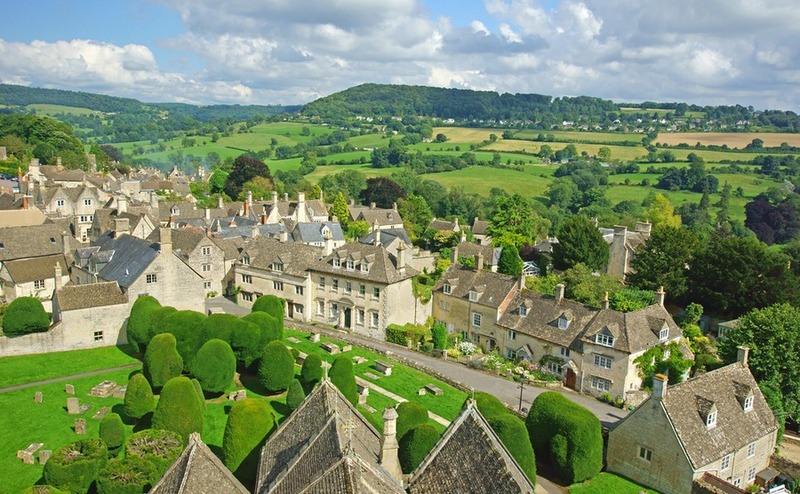 The picturesque countryside of the Cotswolds is one of the best areas in the UK to buy property if you want rural tranquillity and historic properties. The British seaside may seem an unlikely investment location compared to Malibu or Bondi Beach, but it has the advantage of four-season appeal. Not being blessed with wonderful weather, British resorts have had to offer more than sand and sea to attract visitors, and these boost them as destinations all year. Look out for the prestigious art galleries that open all year in Eastbourne, St Ives, Hull and Llandudno, and Michelin-starred seaside restaurants in Port Isaac, Hunstanton and Whitstable. Scotland is known for its rugged highlands, deep, mysterious lochs and heather-covered glens. These are the perfect setting for the finest sporting estates in the UK, for visitors with a passion for outdoor pursuits. But while that may be the tourist image, Scotland is actually highly urbanised, with four out of five of the population living in towns of over 3,000 people. It may be in the UK’s chilly northern limits, but Scotland offers a diverse environment, with solid architecture and a rich history and culture. Glasgow and Edinburgh are the two largest cities in Scotland, accounting for over 20% of the nation’s population combined. Glasgow, on the banks of the River Clyde on the west coast, is the larger of the two with 600,000 residents and 1.7 million in the Greater Glasgow area. Once reliant on heavy industry, the city was the first of the UK’s cities to be transformed into a cultural and cosmopolitan post-industrial success, following its wildly successful stint as European Capital of Culture in 1990. More recently it hosted the 2014 Commonwealth Games. There is still heavy industry – including ship building, with all the Royal Navy’s new ships being built here, but financial services, renewable energy and computer sciences are important too. It has become an increasingly desirable place to live, yet is also one of the most affordable cities in the UK. Could this make it one of the best areas in the UK to buy property? We think so! The average house price as of early 2017 is just below £175,000. Edinburgh, 42 miles away on the east coast, is Scotland’s capital. Steeped in history, it’s easy to see why this compact city oozes appeal for tourists and home buyers alike. Its hilly, medieval Old Town and elegant Georgian New Town are a UNESCO World Heritage site. Looming over it all is Edinburgh Castle, home to the Scottish Crown Jewels. Every August the entertainment world flocks to Edinburgh for the Edinburgh Festival and Fringe – the largest arts festival in the world. Like Glasgow, the city is served by an international airport and is well positioned to reach rural Scotland by road. Unlike Glasgow, however, the average cost of buying a home there is 10% above the national average, at £278,000. This is hardly surprising when you consider that in recent years Edinburgh has been home to more millionaires that anywhere in Britain except North London, with people like JK Rowling (author of Harry Potter) being well known residents. Other cities worth considering include Aberdeen, the base for Scotland’s oil industry, and Dundee, currently in the middle of a £1billion regeneration which will include a new V&A Museum of Design on its historic waterfront. Wales is a rural land with a beautifully rugged coastline, mountains, rolling hills, deep valleys and green, green grass. Three national parks are contained within its borders: Brecon Beacons, Pembrokeshire Coast and Snowdonia. Perhaps unsurprisingly, therefore, it’s a popular spot for a second home, being close to the English cities of Liverpool, Manchester and Birmingham, and a three-hour drive from London. Most of the Welsh population lives in the south, in and around the traditional industrial heartlands. The coal mines may have gone, but new industries have moved in, particular in the services sector, and there is still plenty of manufacturing industry too. The capital, Cardiff, is on the south coast, where the River Taff meets the Severn Estuary. 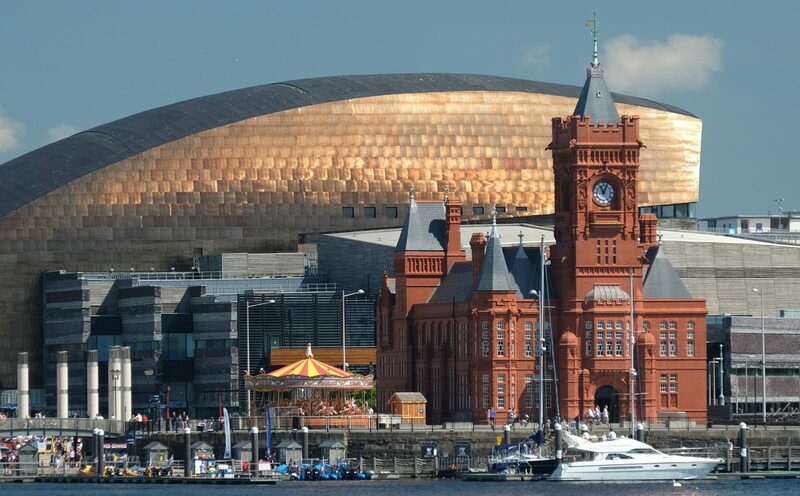 The docklands area, now known as Cardiff Bay, has been regenerated in recent years thanks to the creation of a number of tourist attractions, including the city-centre Rugby stadium. Last year most property sales in Cardiff involved terraced dwellings, which sold for on average £212,000. Flats averaged just over £150,000, while semi-detached properties fetched around £247,000. Cardiff Bay has been a huge regeneration project in the Welsh capital, helping to increase the quality of life (and property prices) for local residents. Swansea, the nation’s second largest city, lies further to the west on the edge of the very attractive Gower Peninsula – the first area in the UK to be designated an AONB. The Swansea Bay area is a good combination of easy-to-reach city employment and social life, in beautiful countryside. A £500m regeneration of the city centre started in 2017, so while property prices are lower than Cardiff, that could be about to change. Wrexham is the major city in the north of Wales and with an average house price below £150,000 shows how affordable Welsh property is. As well as city centre and suburban buy-to-let property, investors may be interested in property in Welsh tourist resorts and national parks too, with towns like Llandudno, Hay-on-Wye and Aberystwyth attracting holidaymakers brandishing buckets and spades as well as intellectuals looking for a good bookshop and a peaceful tea shop. Northern Ireland is the smallest part of the United Kingdom. It’s two-thirds of the size of Wales, with two-thirds of the population too, and a little over a tenth of the size of England. It is green and lush, with lakes, mountains and rolling hills leading down to a stunning coast, including the famous Giant’s Causeway. Were it not for memories the sectarian battles of The Troubles, which largely ended 20 years ago, its tourist industry would surely be much bigger. The province has been recovering fast though, and Belfast’s GVA is among the highest in the country. Belfast is a thriving and modern city with a burgeoning service sector replacing heavy industry such as ship building. Tourism has been boosted by the opening of the Titanic Quarter and exhibition and the city’s location as the film set of Game of Thrones. Brexit is a concern, as it is for the Irish Republic too, but close proximity between the two could be an economic advantage, rather than a hindrance, in the years ahead. In other words, this could be one of the best areas in the UK to buy property. 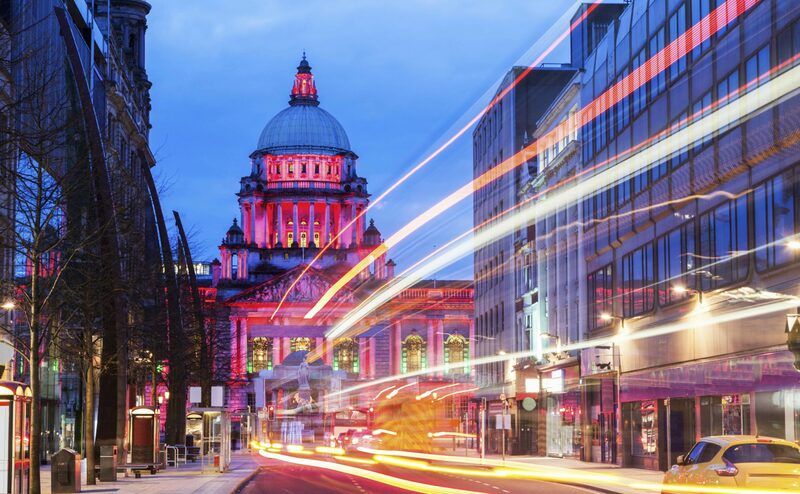 Belfast’s proximity to the EU country of the Republic of Ireland could make it a savvy location for investors to buy. Nearly a third of the population live in the greater Belfast area (580,000) but other significant cities include Derry (90,000), Lisburn (70,000), Newtownabbey and Bangor (both about 60,000). The average sales price in Northern Ireland in early 2018 was £135,000, little over half the rate of the UK in general, but rising by nearly 5%. Travel is easy from the British mainland, by ferry in eight hours from Liverpool to Belfast, or by aircraft in 90 minutes from London and 45 from Liverpool. There is no passport control between the two. If you’ve found your perfect area, it’s time to start looking at how to buy. Keep an eye out for our next installment to find out about the financial aspects of purchasing here. 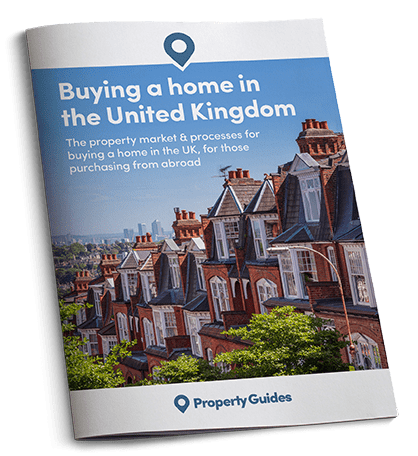 And, if you have any further questions about the best areas in the UK to buy property, or you’d like recommendations of trusted professionals in the sector, don’t hesitate to ring our free, London-based Resource Centre on +44(0)20 7898 0549 or email uk@propertyguides.com.